Candy Coated Life: At The Theater, in Yakima! 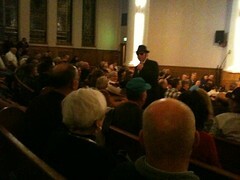 At The Theater, in Yakima! This week Husband and I had the opportunity to go to two amazing shows in Yakima! On Tuesday we joined a group to see Spamalot, the Monty Python musical based on the popular movie "Monty Python and the Holy Grail". This was the touring show from Broadway and they put on an amazing show in the very classy (and historic) Capital Theater in downtown Yakima. As far as the show goes, it's had mixed reviews from fans of the original movie but Husband and I thought it was a great adaptation that incorporated both classic bits from the movie as well as new material and songs. The Capital Theater has had an amazing run of Broadway touring shows like Spamalot including Shrek and coming this December, Young Frankenstein. Personally I was overjoyed that the Yakima Symphony Orchestra was going to be putting on the first full opera production in Yakima, The Marriage of Figaro, one of my absolute favorites! I look forward to supporting the opera in Yakima as it's one thing I have been missing. 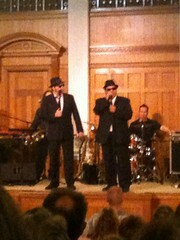 Yesterday, Husband received a call from one of our friends who had tickets for the Blues Brothers Revue at The Seasons. I've never seen the movie, but I'm familiar with the characters and I'm always up for going out so we happily took them off their hands. 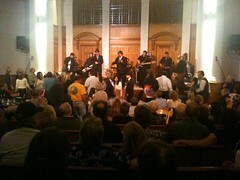 The Seasons was a wonderful venue, another classic and historic building in downtown. 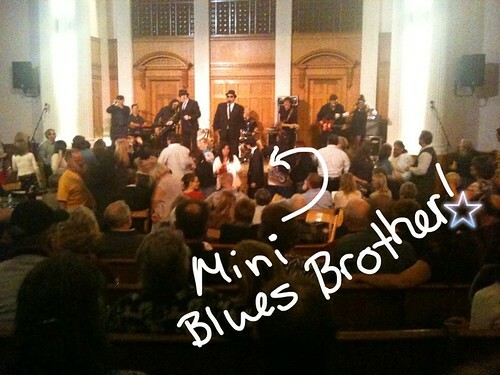 I think it was the perfect venue for the show, just intimate enough and with amazing acoustics. The show was brilliant and fun, but what really made it an excellent evening out was the audience. It didn't take long for people to head up front and dance, and everyone was singing and clapping. Sorry about the quality, only had my iPhone on hand to take pics! These were the first performances we'd had a chance to see in Yakima and I was very surprised at the number of people at each show. Both venues were full for each performance and I found it very encouraging that the people here were enthusiastic about these shows that were coming to Yakima. It means that there were be plenty more great shows in the future! Just another thing I wouldn't have guessed about my little town.